If another Rserve process is running on your machine, you might have an issue that Exploratory does not startup or cannot open project correctly. On the machine that you installed Exploratory Desktop, please do following. 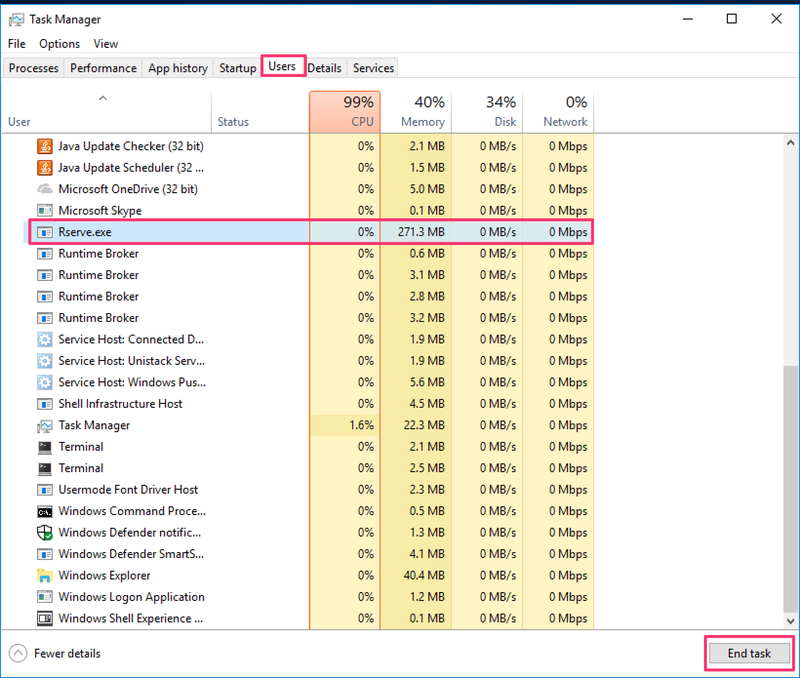 Open Task Manager, find Rserve.exe under Users and click End task. 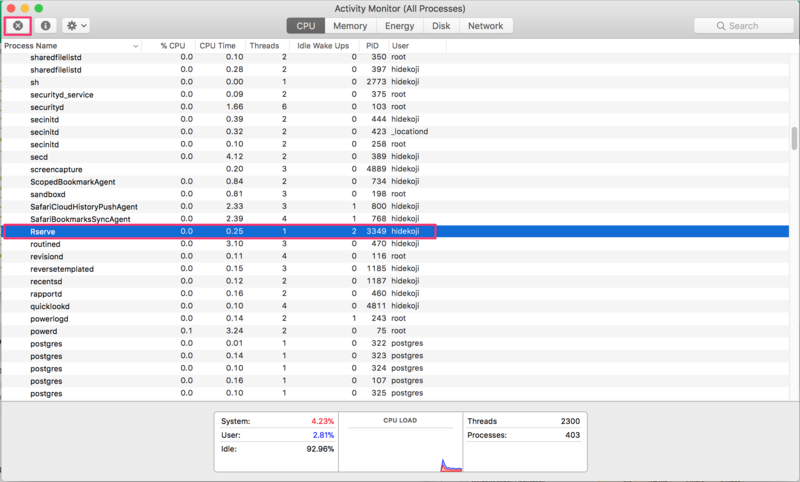 Open Activity Monitor, find Rserve and click X button to end the process.